There is a great demand for light red wines with character, but there are astonishingly few light reds with real character. Most lighter reds are cheap, one-dimensional and if they come from the New World then they have often been sweetened up with grape concentrate to try and hide their weaknesses. They’re the Liebfraumilch of our times! Let’s be frank, a lot of that stuff tastes gruesome to me. The problem is that red wines gain a lot of their character from the tannins extracted from the grape skins during fermentation, and once you get enough of them into the wine that it tastes interesting, then it tends towards heaviness. So making a really good light red is as difficult as climbing the North Face of the Eiger with one hand tied behind your back! 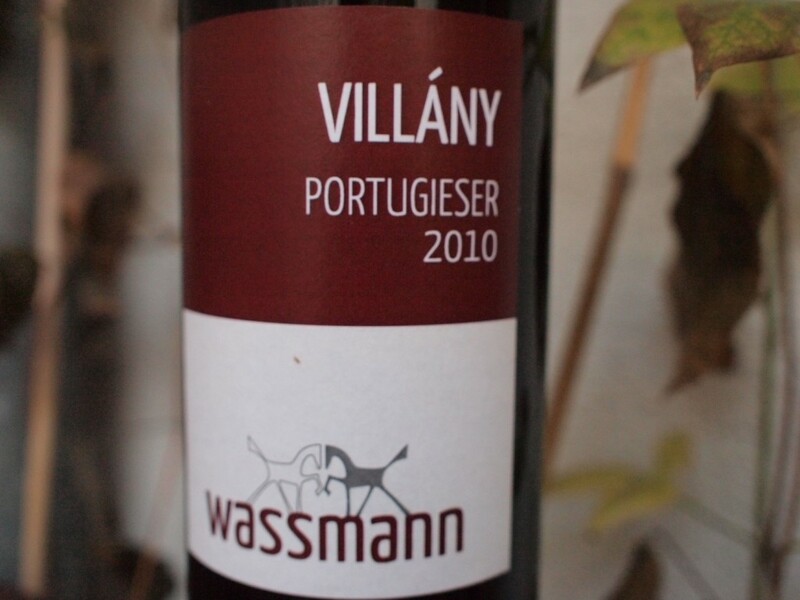 The 2010 Portugieser „Premium“ from Ralf Wassmann and Susann Hanauer’s small organic wine estate in Villány in the Far South of Hungary is a rare example of a light red with great character. First, it has the most amazing raspberry aroma. Then there’s the wonderful balance of succulent fruit, great freshness and supple tannins. In short, it does everything that Beaujolais is supposed to do, but almost never does. Just pull the cork and drink (with or without food), and if you do then I’d be very surprised if you aren’t almost shocked how quickly that bottle is empty. And it is great value for money. By the way: Horst Hummel is no ordinary wine merchant. Please be patient with delivery. See the article „The extraordinary Herr Hummel“ about him under Berlin Wine People.